New: This is also available through live video streaming on Vimeo! Watch live from anywhere in the world. When you are fragmented, your accomplishments fail to satisfy you. Even material success will disappoint you. Feeling a chronic sense of urgency, you will stay focused on survival and basic needs. Always feeling tense, you’ll have the nagging feeling that something beautiful, meaningful, and purposeful is missing from your life. You’ll yearn for a beautiful, fulfilling life. However, when you are Whole, you are at peace. You can live a magical life free of conflicts and turbulence within yourself, and rely on your Universe to lovingly support you through externally based conflicts and stressful situations. Your life has love, richness, purpose, passion, and meaning. You are empowered to know and express your gifts with fulfillment and satisfaction. You see, becoming Whole is THE aim of Your Spiritual Journey . Your evolution as a Soul is all about knowing your true, divine Greater Self . And when you can experience that God-Beingness of you, you can then enjoy your life, becoming playful, joyous, and fun. You can lift up those you love and even your world while having a total blast living your life! In the meditation, Galexis will take you on a healing journey to bring your fragmented inner pieces into harmony. Galexis will then help you step into your Greater Self, the Light Being you truly are, and welcome them all to merge into you. This is a blissful, ecstatic experience! 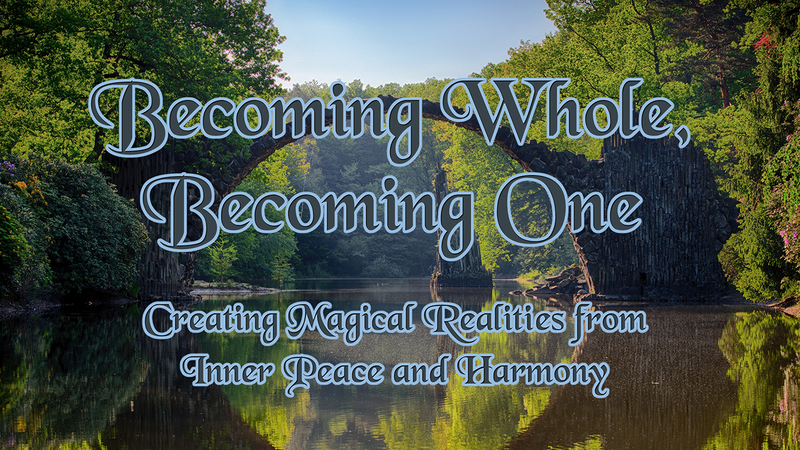 If Spirituality and your Divine Path are important to you, this seminar will be life-changing! Please arrive on time if you can. Start out early!